Garett Lee was born into Karate though his father who was a national competitor for over forty years. 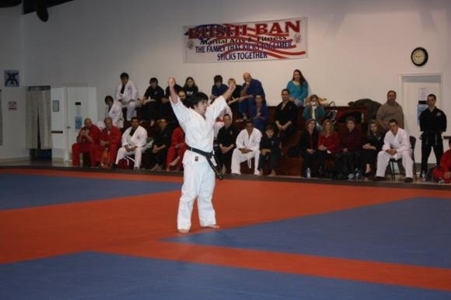 He has been competing on the state level and national level for fifteen years and has achieved a reputation that has been impressive to his peers and fellow Black Belts. He was the youngest competitor to be on the National Sherman Oak Raiders Black Belt Team at age eight, then Hawiirock productions picked him up on a national level also. In 1997 when Wade Kirkpatrick and Gary Lee won the Golden Greek Award (Texas Sport Karate MVP Award) Garett was beside them at most of the events. 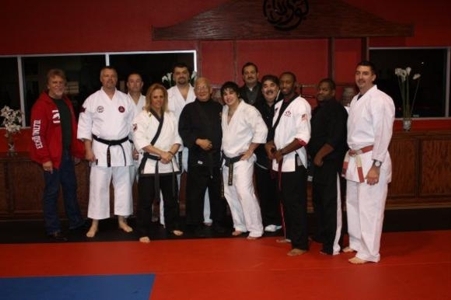 Then as a junior Black Belt in State and National competition, he won Texas State Championships and a World Championship for Universal’s Black Belt Hall of Fame Tournament. Testing at a young age in 1999, way before children were looked at Black Belt quality, he was tested alone for three and half hours in front sport karate legends Allen Steen, Al Garza, Royce Young, James Toney, Dan Anderson, Jimmy Tabares, Ed Daniel, Miriam Kirby, Glenn C.Wilson, Chris Gallio, Scott Holman, Joe Poindexter, Joesph Pruiett, , Zulfi Amed, Perry Smith Ishmael Robles, Pablo Mejia, Stacy Mejia, Tim Kirby, Jim Harrison, Richard Jenkins, George Minshew , Jim Butin, Ronnie Al, Matshibushi Ward, and slew of others, and his father ran the test. It looked brutal and and cruel to the non martial artist watching, but Garett did well and there is no doubt that he earned his rank. Garett’s most important wins in national level competition are 1st Place US Open, Florida, 1st Place Battle of Atlanta, Atlanta Georgia, 1st Place United States Championships, Dallas, Texas, TKO State Champion, Houston, Texas and Texas State Champion, many times. Garett excels in Japanese Kata winning many Grand Championships also. He now represents the PKKA National Team, Team Century Fitness and America’s Best National Karate Team. 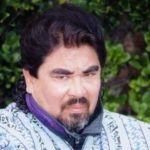 He teaches private lessons to many of the Texas State competitors and is a sought after instructor in seminars around the State. Garett Lee is ranked #10 in Top Texas Ten Black Belt Ratings. He has a tremendous blitz and is faster than your normal heavyweight and he doesn’t mind banging, if need be, hit’s hard and fast! 1st Place Battle of Atlanta, PKC Texas Team, 1st Place, Back Alley Bash runner up 4 times, Won 12 events in a row! U S .Championships 1st Place , U S. Open 1st Place ranked Number one in fighting AOK, PKC (Texas region) and NBL for the year 2009. Garett Lee earned his Nidan in Shorin-Ryu Japanese Karate which was presented by his Bushiban Family and Godfathers Dr. Maung Gyi and Matshibushi Ward (Mabo) and his father Professor Gary Lee. It had been ten years since Garrett Lee’s last black belt test in front of a legendary board, at eight years old. it all seems surreal, but after ten years of in your face fighting and kata, wins at The Battle of Atlanta, five Texas State titles, and PKC and AOK number one fighting seed and U S Open and U S Championships, Garett had the opportunity to prove his abilities and love for true karate do. Garrett’s mentor Grand Master Zulfi Amed gave him a birthday present he will always remember! Jason Holmes, Dona Pettway, Wade Kirkpatrick. Other Board Members pictured were Steve Selby, Matshibushi Ward, head of Japanese-Okinawan Federation, , Steve Selby, Termite Watkins, Texas Legend Olympic Boxing Coach, Master Kiyoshi Nishime, Grand Master Zulfi Almed, Becky and Roger Bornstein, Tandy Robinson, Brakke Jull, Dr. Lance Hoover, Nishime -son, Ricardo Liborio, American Top Team Coach. 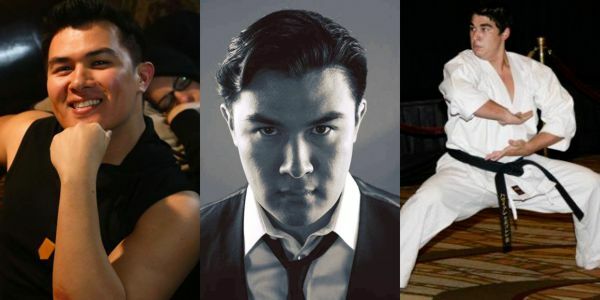 The Super fight.three rounds of Texas Karate, Texas Rules. Chris Gallio fights Garett Lee. Number one rated National Black Belt League fighter Cowboy Conference. Garett is making Texas proud and he enjoys sport karate, he has a old time attitude with a updated flare to conform to any fight situation , he works hard and likes to win ,he is a fighter to watch!